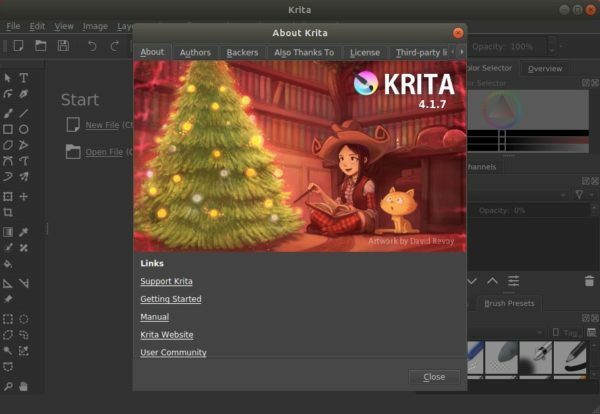 The latest release of digital painting software Krita 4.1.7 now is available to install in Ubuntu 16.04, Ubuntu 18.04, and higher via Snap package. Snap is a containerized software package runs in most Linux desktop. It bundles most required libraires and auto-updates itself. For Ubuntu 16.04, besides running the non-install Appimage file, run following commands one by one to install the latest Krita snap package. To access outside of user home directory, you may add --classic in the end of the command.